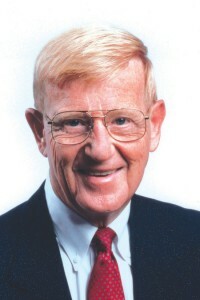 SHAWNEE—Lou Holtz, legendary football coach and ESPN analyst (2004-2015), will be the featured speaker during the fourth annual Oklahoma Baptist University (OBU) Green and Gold Gala Tues., March 1, 2016, at the National Cowboy and Western Heritage Museum in Oklahoma City. Holtz will bring his message of faith, leadership and perseverance as he shares stories of his time on the sidelines and in the studio. Holtz has established himself as one of the most successful college football coaches of all time. Before he began his coaching career, he grew up in East Liverpool, Ohio, just up the Ohio River from his Follansbee, W.Va., birthplace. He graduated from East Liverpool High School and earned a bachelor’s degree in history from Kent State in 1959, where he played linebacker for two seasons before an injury ended his career. Holtz earned a master’s degree from the University of Iowa in arts and education in 1961 and has received 14 honorary doctorate degrees. Holtz began his coaching career by serving as an assistant coach at Iowa in 1960. After nine years of various assistant positions in universities across the nation, he took a head coaching job at William and Mary at age 32. He quickly turned the team into a winning program that won the 1970 Southern Conference title and advanced to the Tangerine Bowl in the school’s first-ever bowl appearance. Despite never inheriting a winning team, he compiled a 243-127-7 career record, which ranked him third in victories among active coaches and eighth in winning percentage. His 12 career postseason bowl victories ranked him fifth on the all-time list. Holtz was selected for the College Football Hall of Fame, class of 2008, which places him into an elite group of individuals associated with the sport. Twenty-six seasons as a collegiate head coach earned Holtz a sterling reputation for turning pretenders into contenders, for taking football programs and elevating them into the top 20. The most impressive stop during his coaching career was at Notre Dame. He needed only two years to put the Fighting Irish back into a major bowl game for the first time in seven seasons. Holtz’s Notre Dame squad reached the traditional January post-season bowls for the nine years prior to his retirement in 1996, including a national championship in 1988. He developed a well-earned reputation as an expert at knocking off highly ranked opponents. This was especially evident in bowl games, with his team recording wins on Jan. 1 in five of his last seven seasons against teams with a combined record of 74-4-1, all of them ranked seventh or higher in the Associated Press poll. In his 11 seasons at Notre Dame, Holtz boasted an overall 100-30-2 mark, chalking up more victories than the number accumulated by legendary Notre Dame coaches Parseghian, Rockne or Leahy in their first 11 seasons on the job. Including the consensus national championship in 1988, his team earned a record 23-game winning streak that ranks as the longest in Notre Dame history. After his departure from Notre Dame following the 1996 season, he joined CBS Sports’ College Football Today for two seasons as a sports analyst and worked with United States Filter (a global provider of water treatment) as a customer relations spokesman. With coaching still in his blood, he returned to the sidelines as the head coach at the University of South Carolina from 1999-2004, where he led the Gamecocks to back-to-back Jan. 1 bowl games for the first time in school history and defeated Ohio State in consecutive bowl appearances. Following his retirement at South Carolina, Holtz joined ESPN as a studio analyst from 2004-2015. He appeared on ESPNEWS, ESPN’s “College GameDay,” “SportsCenter” and for many years as a studio analyst for ESPN’s “College Football Final.” Today, Holtz spends much of his time speaking at universities and other events. He has built a reputation as a motivator and someone who relishes challenge and hard work. Tickets are now on sale for the Green and Gold Gala. Those interested in attending the event are encouraged to purchase tickets now, as seating is based on sponsorship level and purchase date. Sponsorships and corporate tables are available as well as individual tickets. Cost for the Gala is $150 per ticket, which includes dinner. 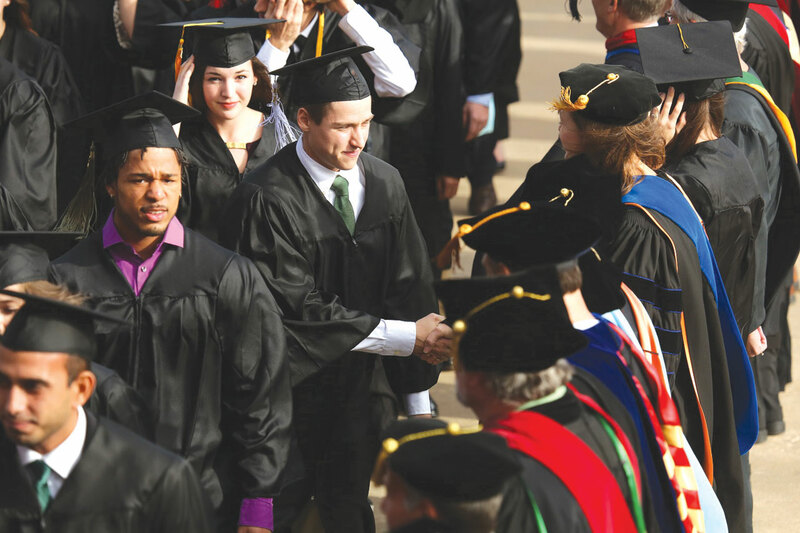 Of that price, $75 will go toward OBU scholarships as a tax-deductible gift to OBU.